Kayla Bowers loves riding horses and target shooting. 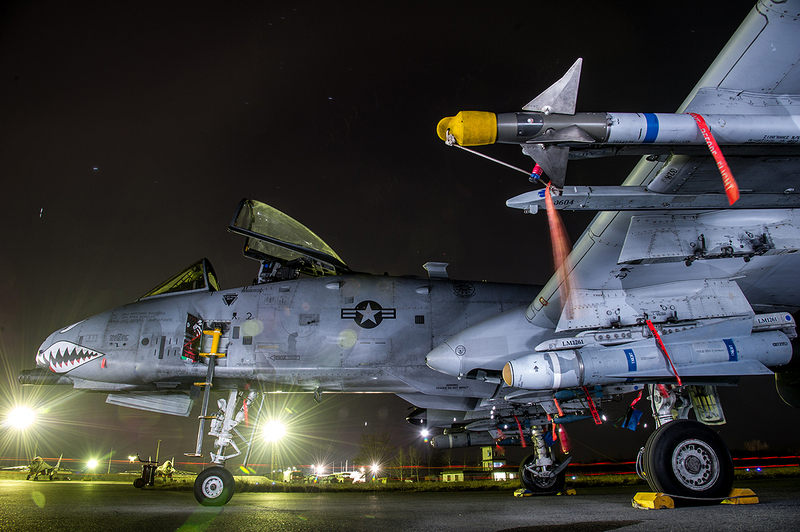 That fits nicely with her day job, where she tames the Air Force’s thoroughbred close air support jet, the A-10 Warthog, and executes aerial target practice using the aircraft's legendarily massive and hideously powerful GAU-8 30mm Avenger cannon. 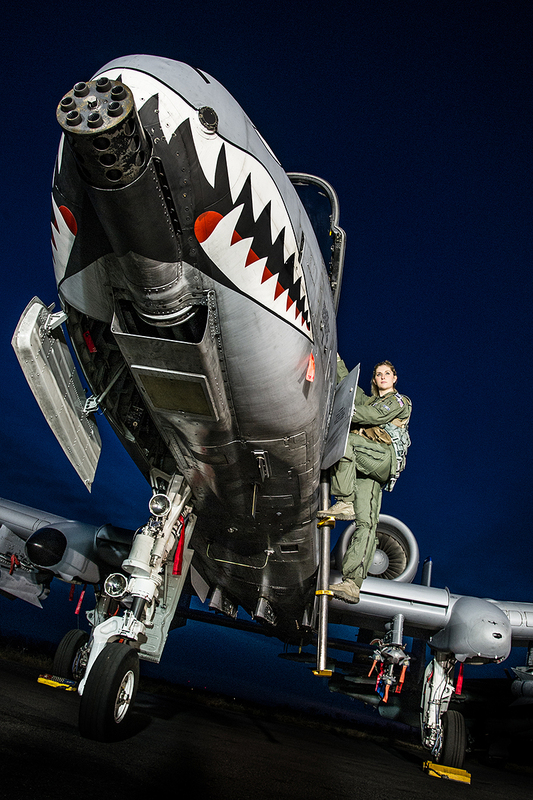 Lieutenant Bowers is better known by her peers in the 74th Fighter Squadron, “The Flying Tigers,” by her callsign, “Banzai.” Being a female fighter pilot is still a rare experience these days, and being one that flies the rugged A-10 Warthog is rarer still: today, only around five women fly the jet, according to Lieutenant Bowers. In what is arguably the most masculine flying machine on the planet, Banzai found her true calling early on. She grew up in the tiny town of Pinckney, Michigan, pop. 2,500. 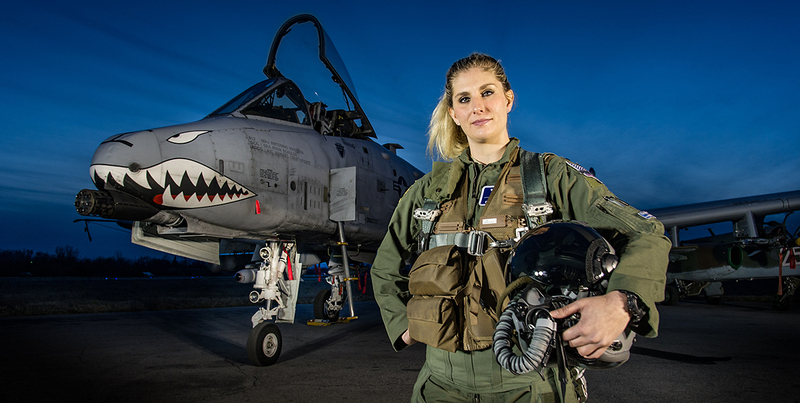 The drive to fly for the military came to her while she was in high school. "I was looking into the military as a possible career field," Banzai says. "It really intrigued me that I could go into something that could offer such a challenge and adventure on a day-to-day basis. 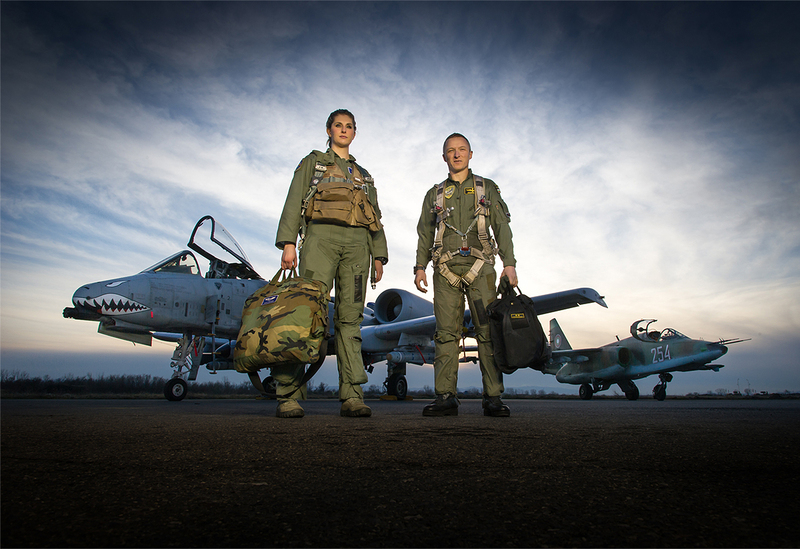 I looked into the types of things that would be the most challenging and adventurous I could do as a woman in the military, and got interested in flying." She enrolled in ROTC (Reserve Officer Training Corps) after graduating high school and started college in 2008. 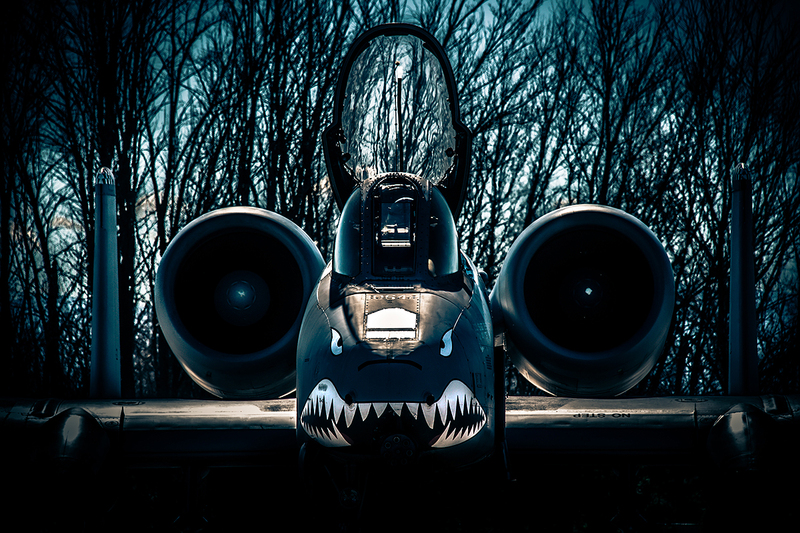 After completing flight training years later, she ended up exactly where she wanted to be: in the A-10’s cockpit, surrounded by a “bathtub” of titanium armor. Along the way, she was pranked by her instructors. 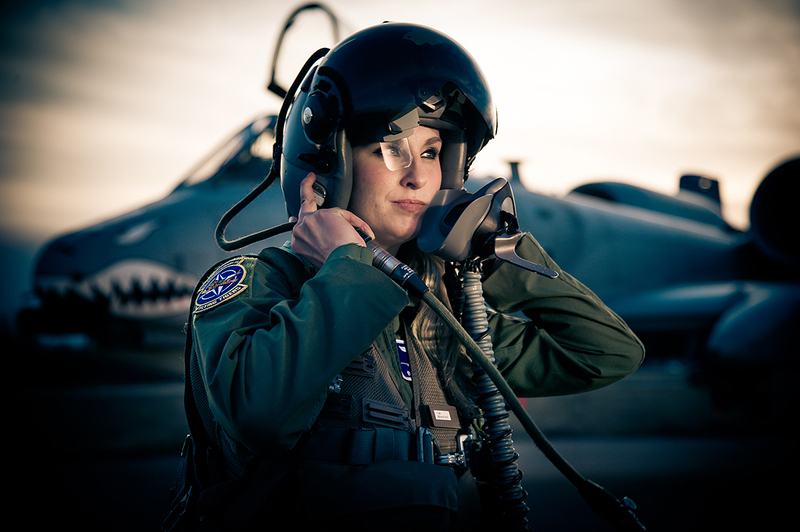 It took a while to move from flying the slick T-38C Talon trainer to strapping into her dream jet. But when the time finally came, it was eye opening. 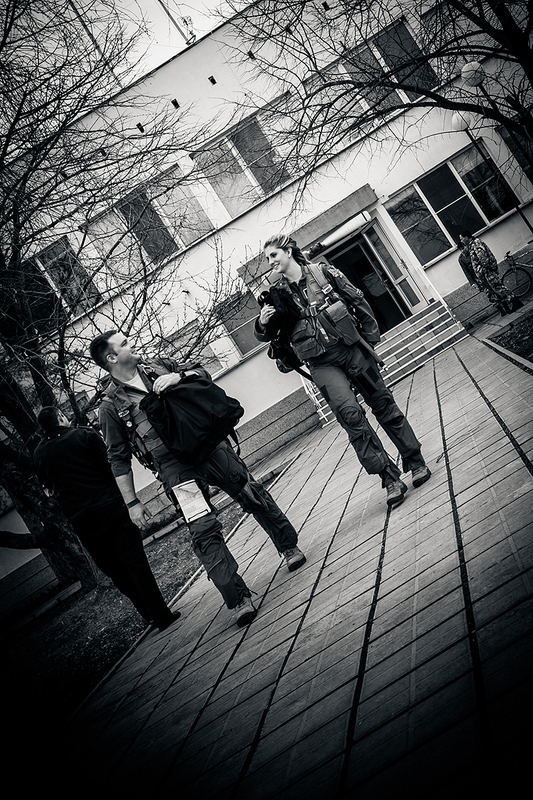 “You obviously have a lot of academics before your first flight and various other training events on the ground," she says. 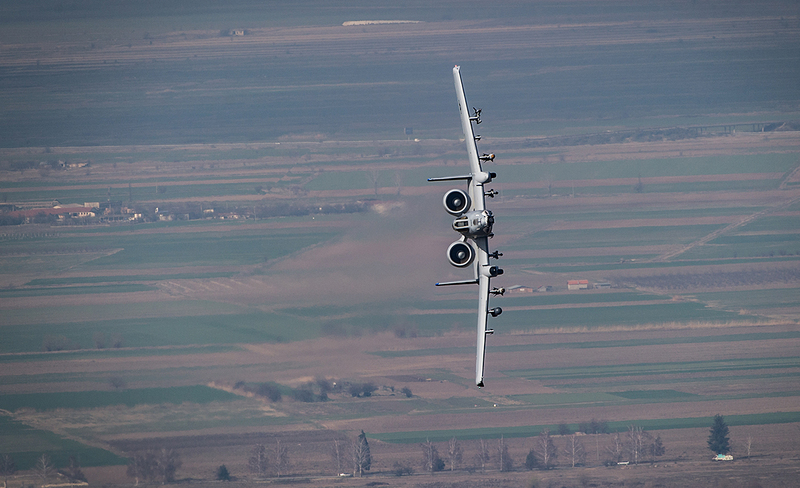 "Actually flying the A-10 for the first time felt awesome. 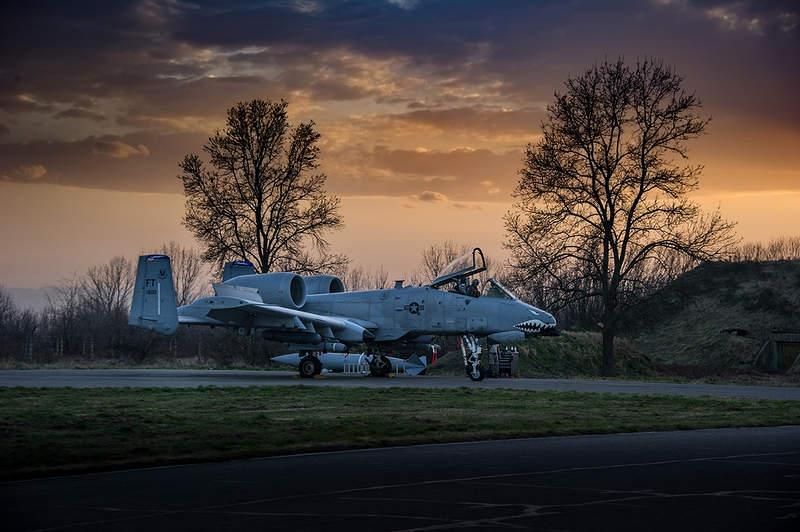 After six years of just loving that aircraft and wanting the A-10 so bad, the first time I flew in it, I remember thinking it wasn't even real life. I just could not believe it. 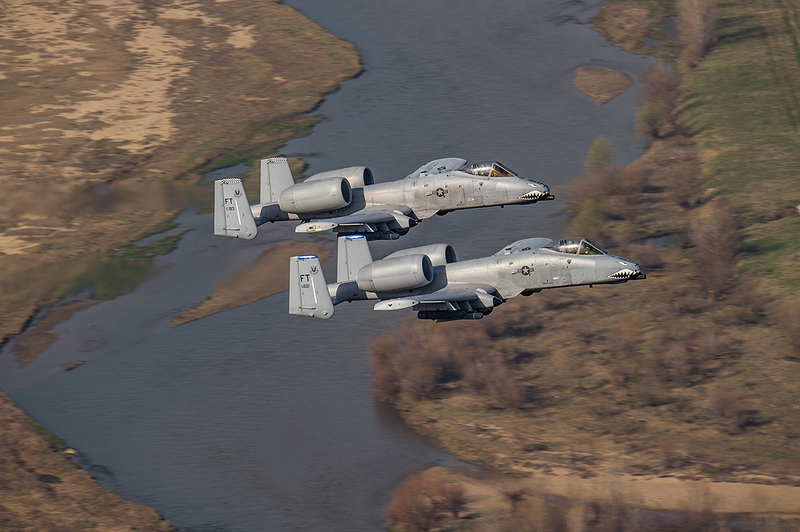 You go out and you fly some instrument approaches and you fly advanced handling characteristics, maneuvers, as well as some formation, like close formation fingertip, route, all of that." 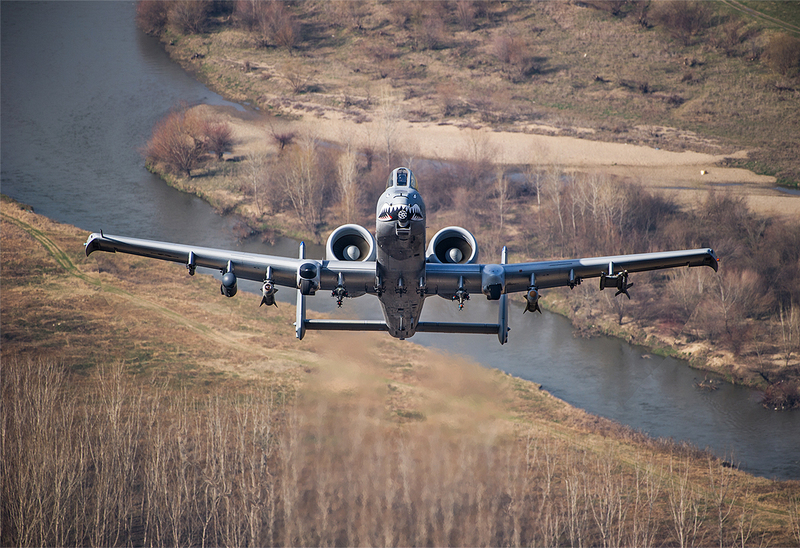 And what about firing the A-10’s notorious gun? 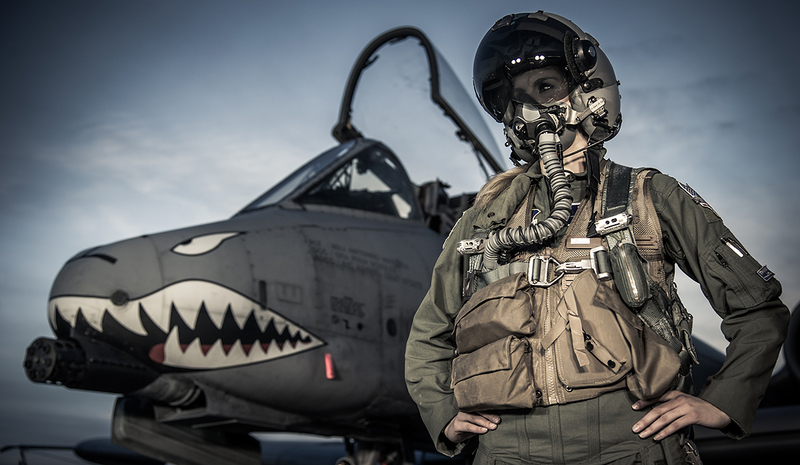 Banzai has been assigned to Flying Tigers since December of 2014. 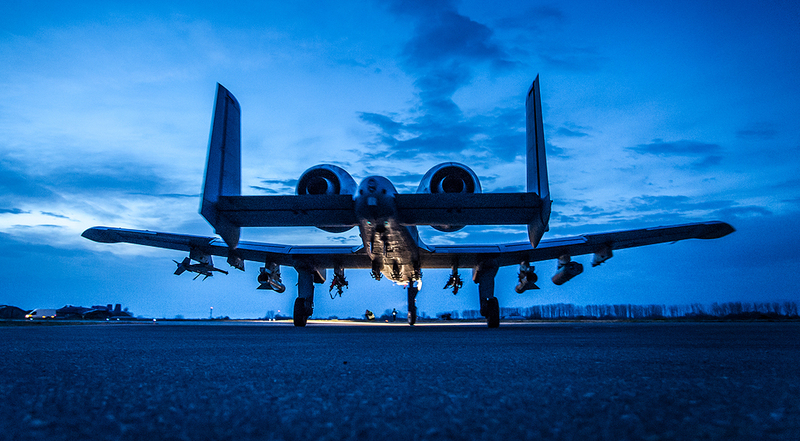 Her first assignment at a frontline squadron has been an incredibly positive experience according to the young lieutenant that is still mastering the ins and outs of the mighty Warthog. 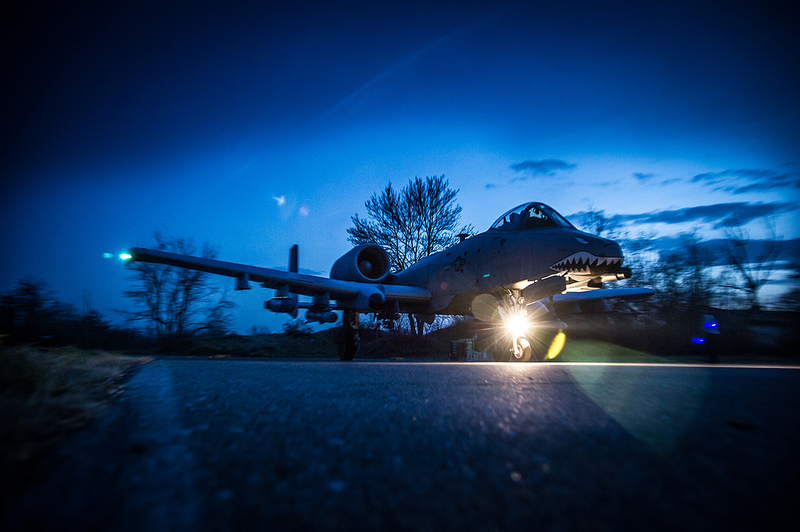 This high level of camaraderie has come in handy during the squadron’s six month deployment to Eastern Europe as part of Operation Atlantic Resolve. 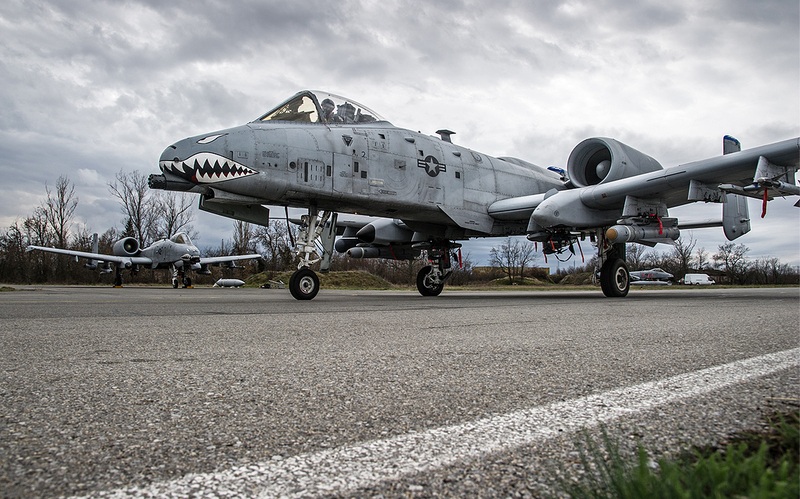 It was on this historic deployment at Graf Ignatievo Air Base, Bulgaria that we met up with Banzai, who had been flying missions with Bulgarian Air Force’s Su-25 Frogfoots, the A-10s Soviet-designed counterpart, and Mi-24 Hind attack helicopters. 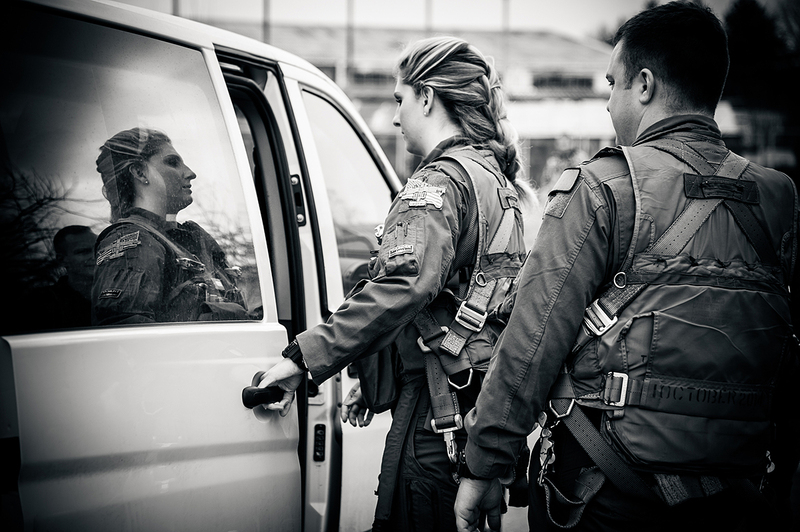 Banzai and her Bulgarian Su-25 pilot counterpart. 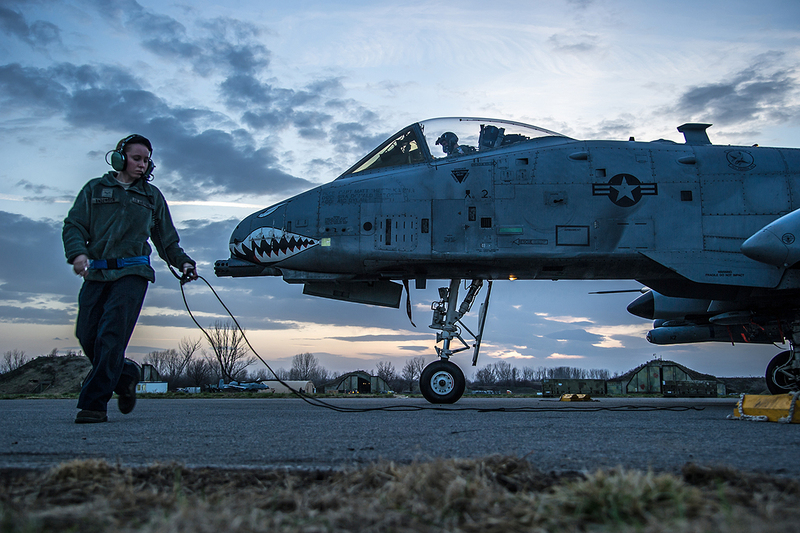 The young Hog Driver is racking up the memories on deployment, including working with some unusual assets in unfamiliar places. 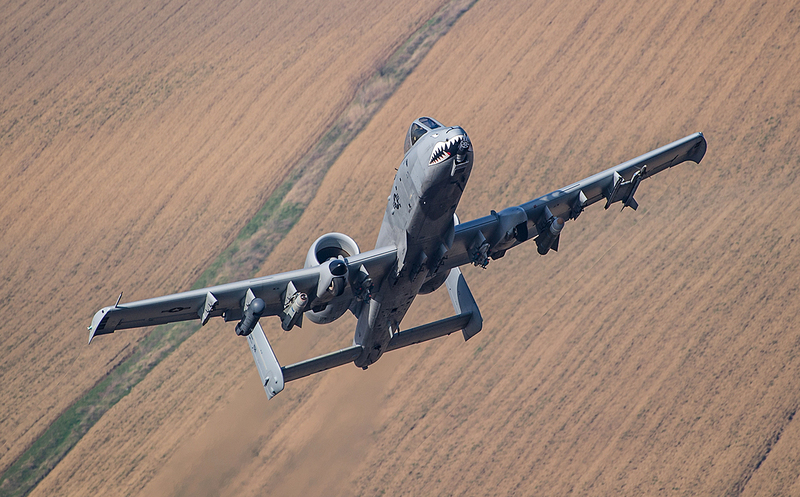 For instance, her last mission over the Bulgarian bombing ranges. 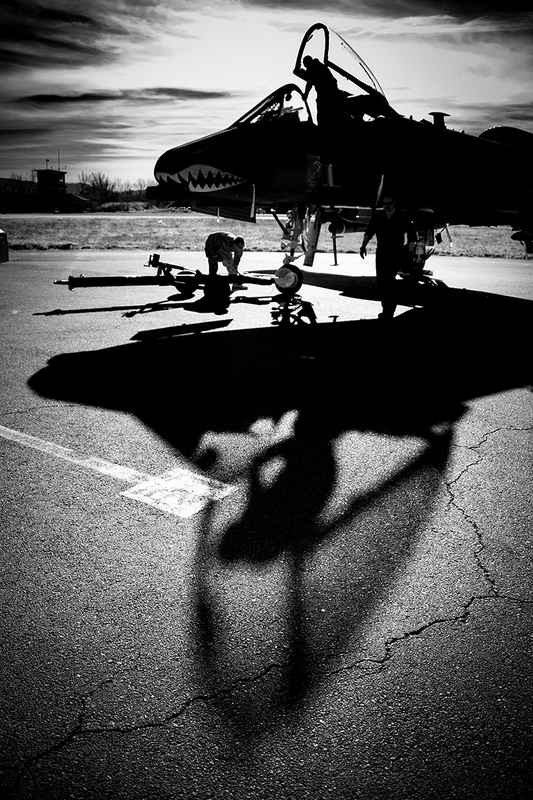 “Starting off, we worked on timing and deconfliction. The type of attack—the game plan—was a sectored sequential timing based off a time over target (TOT). 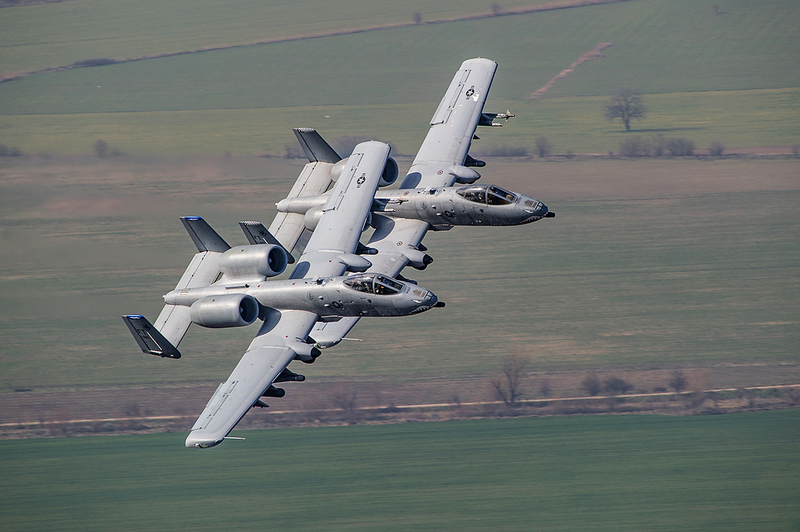 So the way it would work was that we both held deconflicted in our airspace east and west of the target. 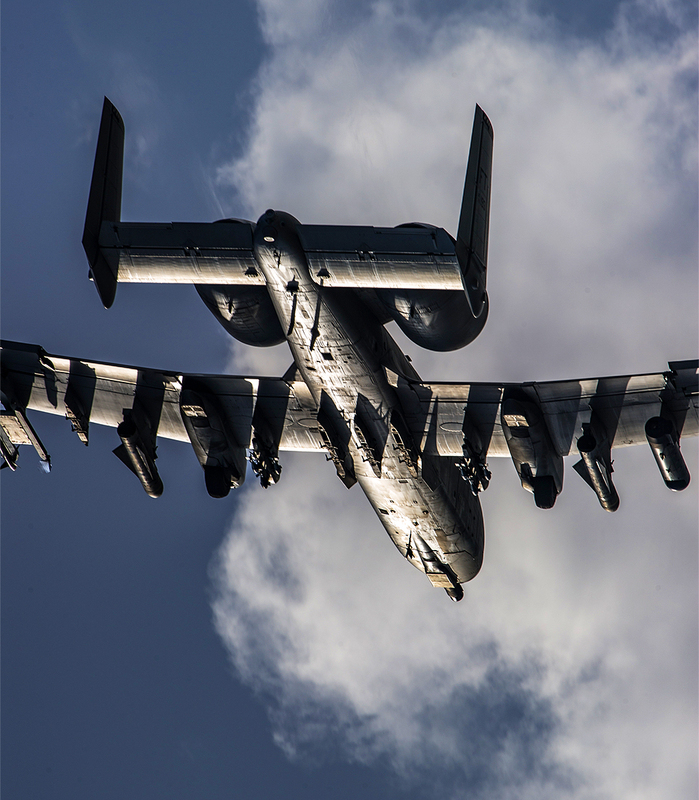 Since the ceilings [the space between the ground and the cloud deck] were pretty low, we were holding about fifteen hundred feet AGL [above ground level], and the helicopters were holding at right around three hundred feet AGL." 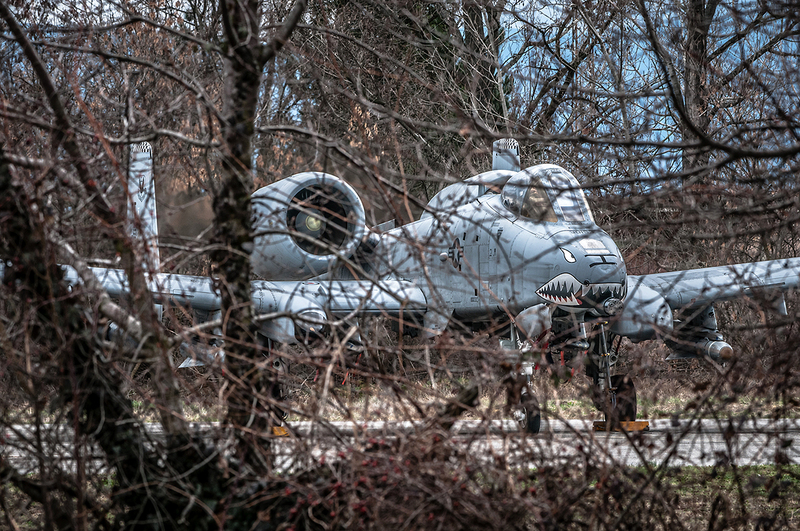 It is amazing hearing someone go from talking about their love of horses to describing employing one of the world’s most deadly weapon systems in science-like detail, but that is the nature of any true fighter pilot. 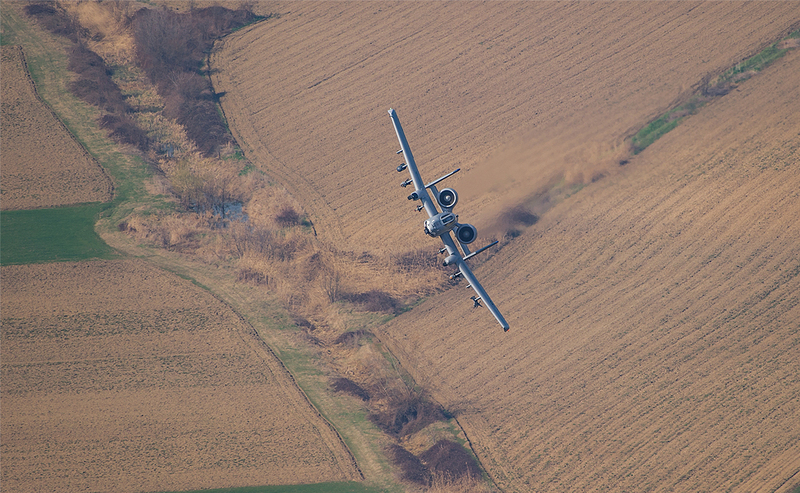 Still, it’s not all about flying. 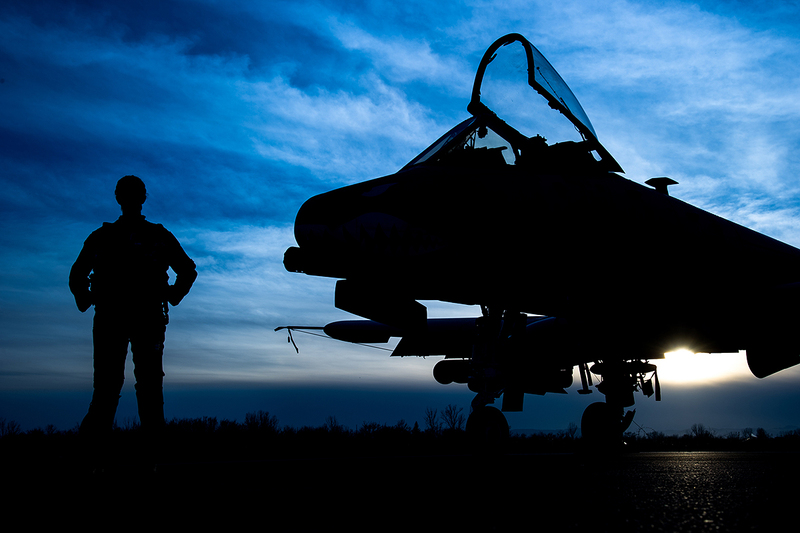 Breaking down each mission into learning points is what makes good pilots great. 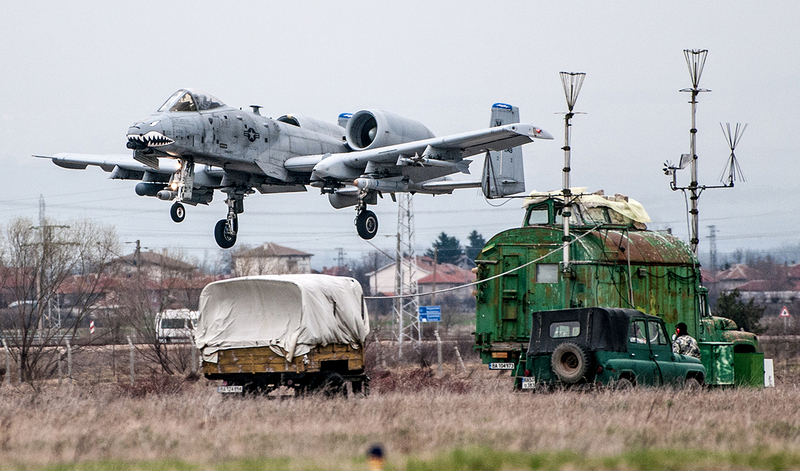 With the A-10’s highly controversial retirement on the horizon, there's a good chance Banzai and her fellow Hog pilots will find themselves in a tactical jet like the F-35 Joint Strike Fighter, which couldn't be more different from the rough and tumble, down and dirty, stick-and-rudder A-10. 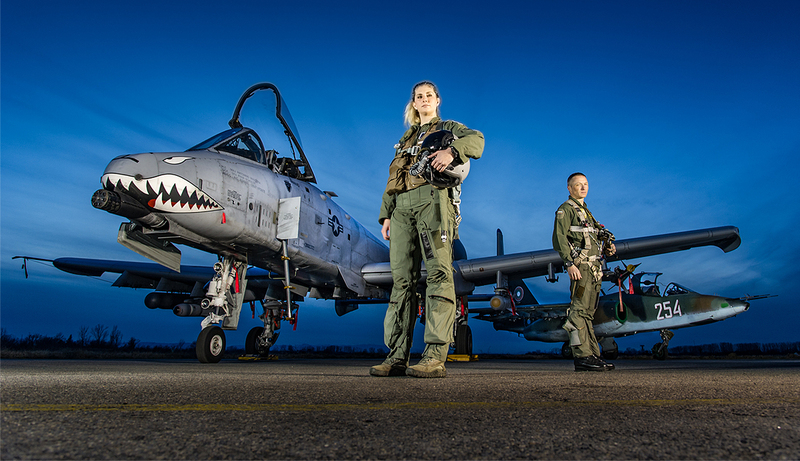 As for being in the tiny cadre of active female A-10 pilots, Banzai has had the chance to fly with one of her lady Hog pilot counterparts. 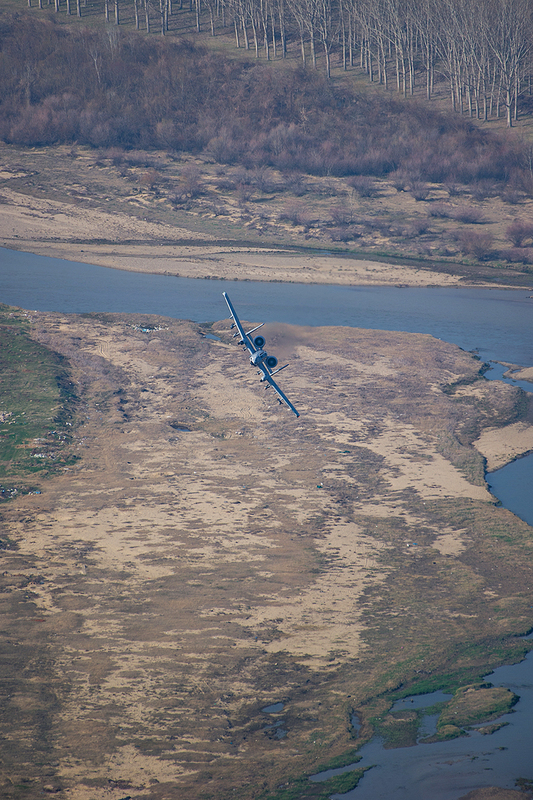 A special thanks to Frank Crebas of Bluelife Aviation & Rich Cooper of the Centre of Aviation Photography for providing the amazing images you saw in this article and for executing the interview with Banzai in Bulgaria. Make sure to check out their websites linked above at to follow them on Facebook here and here.